Akoya Park luxurious residential project offering spacious and elegant townhouses and golf condominiums with a world class 18 Hole Trump International Golf Club. Each unit is genuinely designed with high end facilities as well as to make the residents feel comfortable and safe. Akoya Park will become one of the largest private parks in the region. 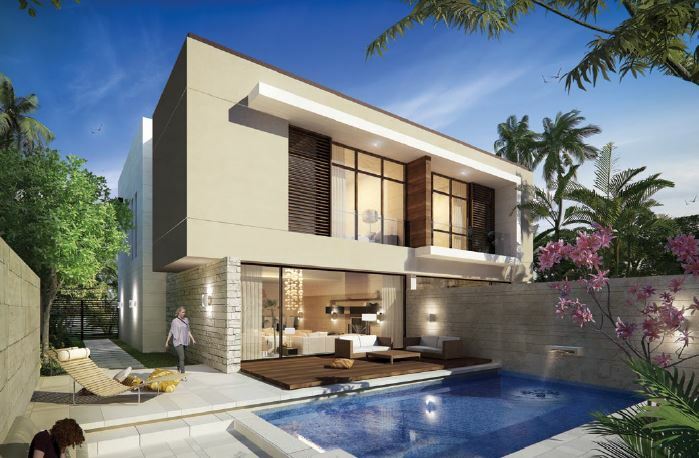 Akoya Pask is ideally located along the Umm Suquiem Road that let them have an easy access to some of the sought after districts in Dubai. Training academy with hi-tech equipment and pro-shop. Trump branded and managed clubhouse.